The new year started with us welcoming fourteen new children and their families to The Wilfred Owen Nursery. Our topic was 'Super Heroes' and we started by inviting the children to dress up as their favourite super hero. During the term the children have talked about the people who are important to them and who are their family super heroes. We have had a visit from a local CSO and learn about how she helps children and their families. The children have worked hard to learn eleven nursery rhymes and they performed these to their families and friends in a lovely family Rhyme Time Concert. After the performance the children joined their families for an indoor picnic. Our topic was 'The World Around Me'. We used some lovely stories to support our work for this topic, e.g. The Gruffalo by Julia Donaldson, Owl Babies by Martin Waddell, We're Going on a Bear Hunt by Michael Rosen. We visited Attingham Park to see the Autumn bunting we had made for them and to learn about autumn. We enjoyed a picnic lunch and a visit to the playing field whilst we were there. The children joined in with the whole school harvest celebrations and learnt about Diwali. We ended our busy autumn term by performing in the Early Years Foundation Stage Nativity Play. There were two packed audiences for the performances and the children did a fantastic job at remembering the songs, dances and Makaton signs. Our topic last term was 'Castles'. The children listened and joined in with castle themed stories and took part in role play activities. We held a castle banquet and the children helped plan and prepare the food we ate. They all looked wonderful in their costumes. We were very excited to be able to incubate some eggs from a local farm. The children were able to watch a chick hatch and we named her Daisy. Daisy stayed with us in nursery for 5 weeks and the children were able to see her grow and change. At the end of term she went back to the farm and then moved to a new home with a lady called Jenny. Daisy is now full grown and is enjoying her new home. She has now started to lay eggs. Our Spring term topic was 'Let's Build!' and we used traditional tales as our focus stories. We started with Goldilocks the Three Bears, a story that the children enjoyed joining in with. We talked about our own homes and made porridge, an activity suggested by the children. We moved on to The Three Little Pigs, building houses using different construction sets. At Forest School we worked together to make dens. The third focus story was The Three Billy Goats Gruff which led to bridge building and retelling the story with the puppets and props. We explored what happens at Chinese New Year, tasting Chinese foods, making cards and decorations. We also celebrated Pancake day and Easter. We worked hard to learn the Rhyme Time Challenge rhymes. We performed the rhymes for the other children in school and then for our families. We had a picnic after the performance to celebrate our achievements. Everyone was awarded a special certificate for taking part in the Rhyme Time Challenge. During the Autumn term our theme was family celebrations. Our theme was launched with a 10th birthday party for our school building. A fantastic cake was made for our school, which we shared with Clee class. It was delicious! During the term we learnt about Harvest, Divali, Bonfire Night, Remembrance Day and Christmas. We made Autumn themed bunting for Attingham Park and we enjoyed two visits to explore the woodland and play area. In the second half of the Autumn term we worked hard to learn the songs and a dance, for the Nativity Performance. On the last Thursday of term we went on a special visit to Oswestry Railway Station. We had a lovely morning enjoying a train ride, party food and meeting Father Christmas. It was really exciting opening our presents. We had Forest School sessions each Monday morning and played and explored in the sunshine and sometimes the rain! Towards the end of term we enjoyed a very snowy Friday, building snowmen and playing in our outdoor area. During the Summer term the children really enjoyed having an incubator with twelve eggs inside. After 21 days, we successfully hatched nine chicks! The children were able to watch chicks hatching and to see them in their first hours of life. Everyone helped name our chicks and they stayed with us in Nursery until they were a month old. It was fascinating watching them grow and change each day. Our theme was ‘Buried Treasure’ so the children enjoyed a lot of pirate activities. We finished the term with a pirate party to celebrate the end of the school year. We had Forest School sessions each Monday morning, and played and explored in the sunshine and some times the rain! Our end of term activity was to toast marshmallows on a campfire. The children enjoyed a rhymes and poems performance from Joe and Andy (as seen on CBeebies The Rhyme Rocket). We also took part in our annual school sports day and family picnic. During the Spring term the children really enjoyed the traditional stories we focussed on, Goldilocks and the Three Bears, The Little Red Hen and The Gingerbread Man. As the children became more confident with the stories they joined in more and more. Another story we read was The Gruffalo, we retold this story in our class assembly. The children worked hard at school and at home to learn eleven rhymes, which we performed with Clee class, for families. We then had a picnic to celebrate the children’s achievements. Our Forest School sessions have carried on throughout the term, with us exploring our wooded area at school on frosty mornings, on wet days and eventually on warm Spring mornings in the sunshine. We enjoyed making pizza with Cathy at school, making bread rolls, porridge, Gingerbread men, sandwiches and Easter nests. We enjoyed a busy Autumn term in Haughmond Class. 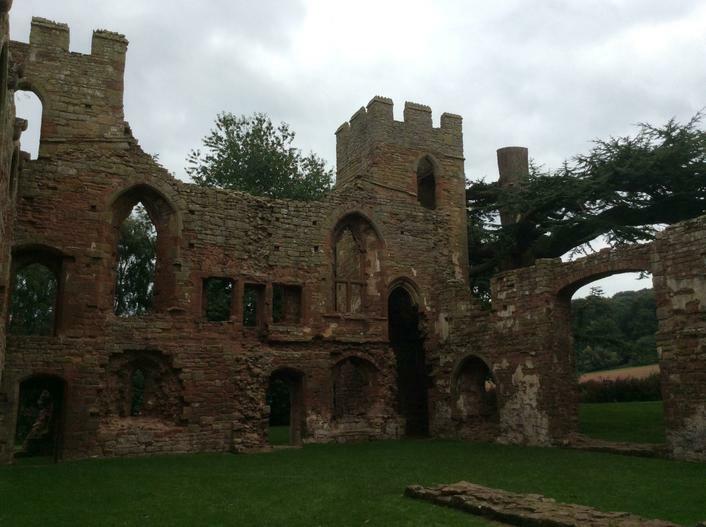 We started with a visit to Acton Burnell castle, near Shrewsbury. The children had a great time exploring the castle ruins and pretending to be knights and princesses. 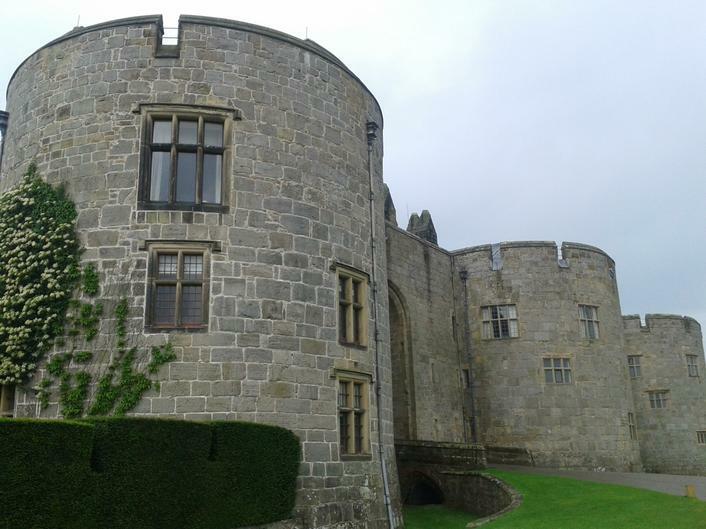 We also visited Chirk Castle in October. We looked around the state rooms and in the parts of the castle where the guards lived. We could even go down into the dungeons! We had fun dressing up as knights, princesses and dragons in nursery, and building our own castles. In the second half term we had a dragon theme. We listened to dragon stories and we decorated paper mache dragons, which were hidden in shop windows in The Parade Shopping Centre. How many dragons did you find? We also worked hard to learn the new songs for the Key Stage one and Early Years Nativity Play. We were all angels, and we took part in an angel dance during the performance. We ended the term with a special visit to Attingham Park to see Father Christmas. We enjoyed a long and eventful summer term in Haughmond Class. We had some exciting visitors to our class this term, starting with a pair of ducklings. We learnt about how to look after them and then watched them swim in our water tray! We went on a visit to Home Farm and had the opportunity to stroke and feed lots of different animals there. We were very excited about our delivery of eggs and waited patiently for 21 days for them to start to hatch. Cheep was the first to hatch, then Chocolate and finally Chestnut. We watched them grow and change, and we helped look after them. All the older children in school enjoyed visiting our chicks too. Another delivery to Haughmond class was our day old caterpillars. The caterpillars ate and grew, and made a cocoon around themselves. After just over a week beautiful butterflies emerged, and after resting whilst their wings dried out, they drank sugar water to make them strong enough to fly. We released our butterflies in our Forest School area, on lovely warm, sunny morning.